With only a few episodes in, I'm really excited by this new series. It is a show for the hopeless romantic in all of us. A romantic comedy that shows a young couples relationship from the day they meet. Andrew and Zelda are a cute and adorable couple who we can't help but root for. The show stars. 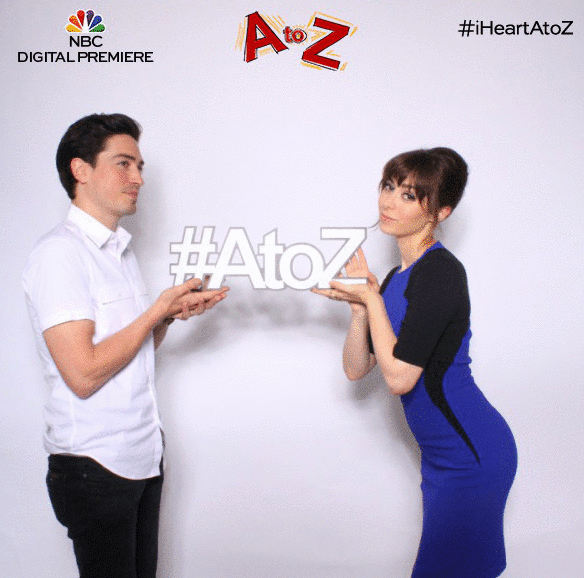 Cristin milioti as a young lawyer and Ben feldman who works at a dating service. Andrew is a hopeless romantic who seems to know they are supposed to end up together from day one but Zelda on the other hand has her defences way up which produces a few setbacks for the couple. This gives a more real life approach to the relationship other than being like a clichéd fairy tale. All we know about the couple is that they date for eight months, 3 weeks , 5 days and one hour. We are kept in suspense about what happens after that , if they get married or breakup... All we hope is that it all works out.